We all have been there before. A love relationship is not going as expected, and the guy you are dating decides to cut ties. Apparently, he was not ‘The One’ like you hoped. Besides anger and sadness, you experience one more cut-throat feeling. The feeling of rejection. You start to internalize the no and tie it to your beauty, skills, talents, worth and value as a human being. Which makes you feel like you are not enough and wonder what’s wrong with you. And I know it feels horrible to be rejected by someone you like. But it is important to learn to reframe the rejection and not allow it to smash your self-worth. 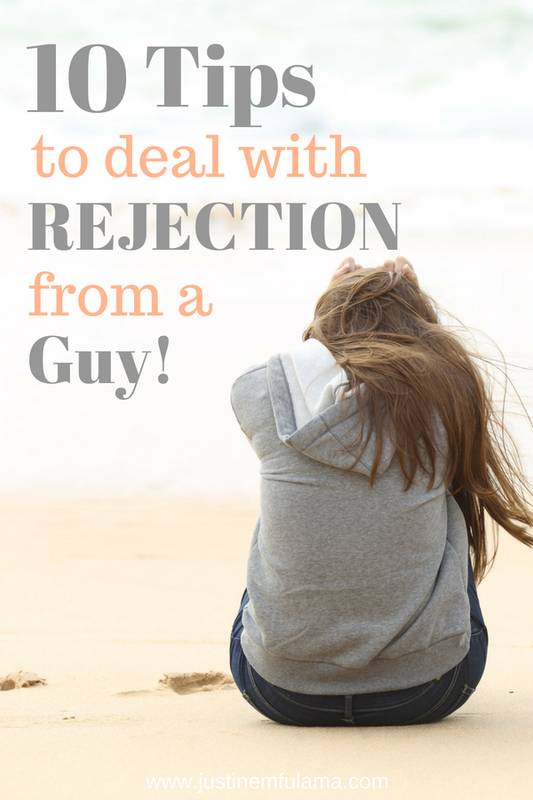 In this blog post, I’m sharing with you How to deal with rejection from a guy. One of the most offensive things that happen after you have been rejected by a guy, is that the devil tries to manipulate your thoughts. He wants to make you think that you have been rejected and abandoned not just by one person. But by every man that you have dated in the past, every friendship that died and even God. God never abandons us, no matter how lonely you might feel. He is right there with you, feeling the pain you feel. God chose you. He chose you before you were born before you ever spoke a word and before you ever made a mistake. Take control of your thoughts by banishing the enemy’s foul play and affirming yourself with encouraging bible verses. What that means, is simply that God will allow for someone to not agree with who you are, what you want or what you expect from them. So that he can bring you ‘The One’ that does. Too often you hold on to dead relationships because you like the intimacy and familiarity that it provides. You start to believe that if you let go of that person you won’t ever find someone again. But in reality, God has a reason why he allowed someone to enter and exit your life. Trust God and prepare yourself for someone you can create everything you had and more with. Rejection doesn’t define you. The fact that something didn’t work out doesn’t mean that nothing ever will. In contrast, it means that you have the opportunity to finetune what you want your future relationship to look like. Just because one person didn’t love you, doesn’t mean you are unlovable. And if you need a reminder of what Love looks like, then meditate on the many Bible Verses about Love. One person’s taste and one person’s opinion will never define who you are. God defines who you are, and that is loved! What do you do when you’re playing a game and you lose? You analyze what went wrong and try to do it better the next time. That’s what you should do after a relationship ends and you feel rejected. Ideally, have a conversation with him that will help you understand what areas the two of you didn’t agree on. 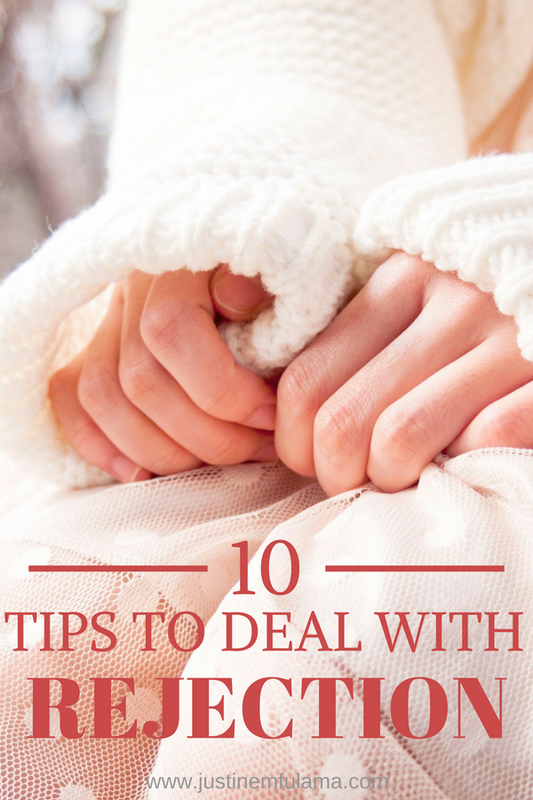 Identify the dealbreakers in the relationship and brainstorm how you can avoid them next time. If you didn’t have a healthy break-up, then take that as a sign too. Was it a toxic relationship? Did one of you not respect the other person enough? Are you even ready to get married at this point in your life? Whatever it is, make it a learning experience. Identify the areas that need improvement and understand that he might have rejected a value of yours, but someone else will appreciate exactly that value. It is way too easy to get caught up justifying why someone might have rejected you and wallowing in your feelings. Remind yourself of your worth by making a list of 5 to 10 qualities you possess that a mate would find desirable. Are you kind? Are you emotionally available? Or are you considerate? Whatever it is, that you value in yourself and know are good qualities in a healthy relationship, expand on it. Write down how these qualities show in your interactions and why they are a blessing to someone else. Once you do that, you will realize that he missed out on a catch! I remember one situation when my sister was extremely sad about something that happened. When I came in with her youngest son (who was only 1 year old) he immediately proceeded to go to her and just give her a hug. That moment spoke nothing but love and I was reminded, how powerful it is to remember how much you are loved. Your parents, your siblings or your kids show you love on a regular basis and far too often we take that love and affection for granted. I want you to think of that love and let it fill up your heart. Even better is, call or visit these family members and experience that joy first hand. Remember that even if there is one person that rejected you, there are so many more people that choose to love you. The default thoughts after a break up are usually to think of all the things that you did wrong. And what led him to reject you. But sometimes, it might be him. Try to move out of the self-beating and think about what might be going on in his life at the moment that didn’t allow him to continue your relationship. Maybe it’s his missing relationship with Christ, that makes it hard for him to show and receive real love? Maybe it’s his current season that preoccupies his mind so that he can’t commit to you. Whatever it is, it might just not have anything to do with you. Fact is that people want to be with people that make them feel good, so learn to become that person that brings joy and encouragement to a person or a group. Learn to rejoice in your current season with peace and contentment. 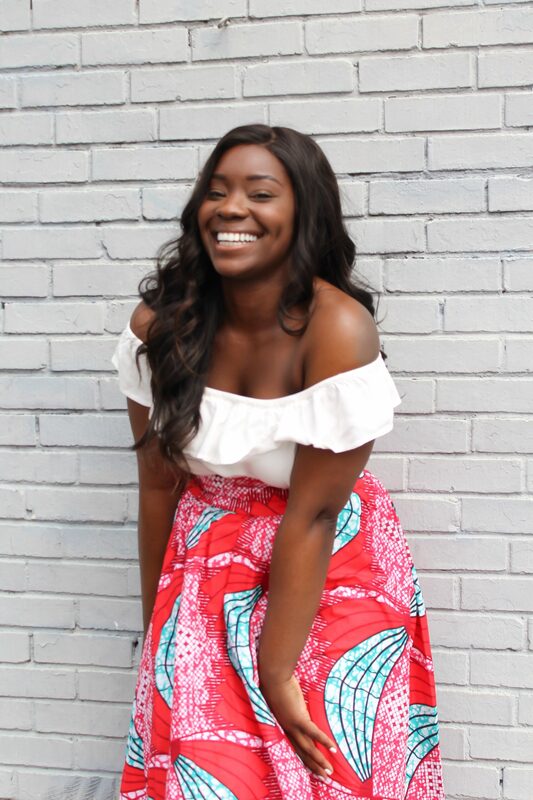 Use your feminine allure to demand acceptance from others by conveying positivity and joy. Other people will be drawn to it and want you in their lives. You will see how your relationships will change for the better. As painful as it might seem to be Single again after a relationship. One thing is for sure you are not the only one. There is a whole group of people out there that are single and have gone through the pain of a heartbreak before. Search for the comfort of others by joining a local or online Bible Study for Single Women. Surround yourself with other women who will uplift you and remind you of your value and strength in Christ. Don’t believe the lie, that it’s always and only you that these things happen to. But instead, remember that many people have been in the same situation before and just like them you can be hopeful about your future. If you follow me on Instagram then you know that I love Self-Love Saturdays! What are Self-Love Saturdays? Those are the days where I show myself some love. I partake in different activities that bring me joy such as working out, eating good food, going shopping, getting a manicure or going to the movies. And most importantly I make sure I feel good about myself all day. Sometimes that means walking around in leggings and being comfortable, other times it means dressing up and feeling beautiful. Whatever activates your Serotonin (happy hormones), do it and rejoice in being the great person you are and that will attract the right guy at the right time. Even if the pain of rejection is very real, don’t allow your feelings to take over. Do you have any more tips on how to deal with rejection from a guy? Share BELOW! I just went through a breakup and man it is hard. I was dating the man for almost a year now. He was very loving at first and expressed many times he wanted a future with me and we should get married. But he started picking me apart and telling me what was wrong with my personality. I have a 13 year old son, but he wasn’t very interested in him. He admitted to me that he wanted me all to himself. Well that just wasn’t reality. But I loved him and tried to make things work. He would say he was going to do his best to be the man I needed. He is a Christian man but had went through a bad breakup ( a broken engagement) a few years before meeting me. I was his first serious relationship since that happened. But I could tell he was still dealing with the betrayal she infected ( she was cheating on him). Well he started to not want to see me – was busy he said. But he still was telling me he loved me and wanted a life with me. When he made other plans for Thanksgiving, it hurt me. I finally asked if he really wanted to be in the relationship, he told me he honestly didn’t think we were romantically or emotionally compatible and we both didn’t need anymore burdens in our lives. He did this in a text message. Wow I was hurt. I have been a mess since. I can’t understand why he lied to me – just a couple days before he told me he couldn’t imagine a world without me. It hurts bad. I am praying for comfort and strength from God. This is the first real relationship since my divorce. I felt like God brought us together and so did he. It just hurts so bad.